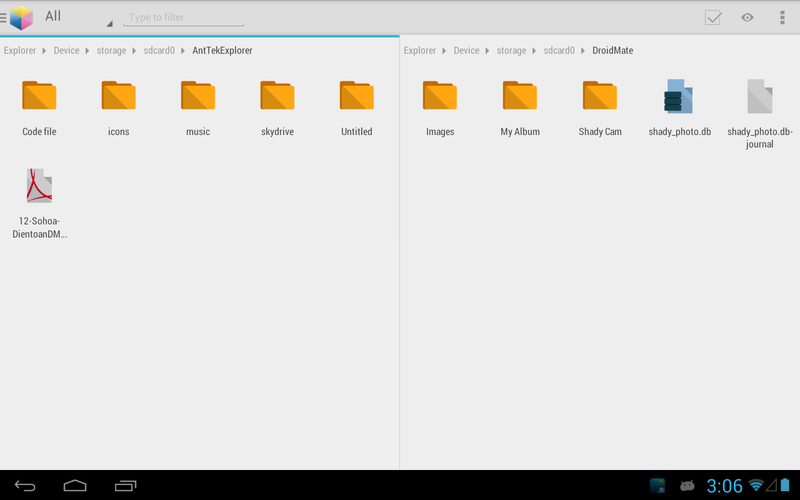 This is the first multi-panel file explorer on Android OS. 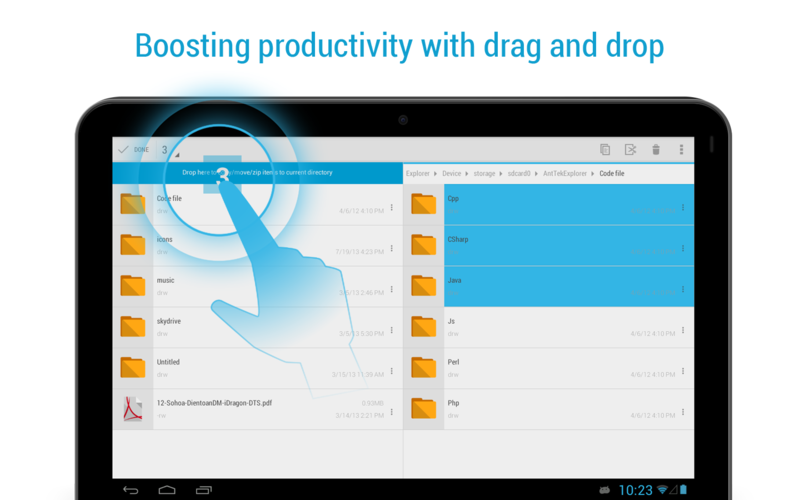 It features “Drag & drop anywhere” to bring the best user experience. 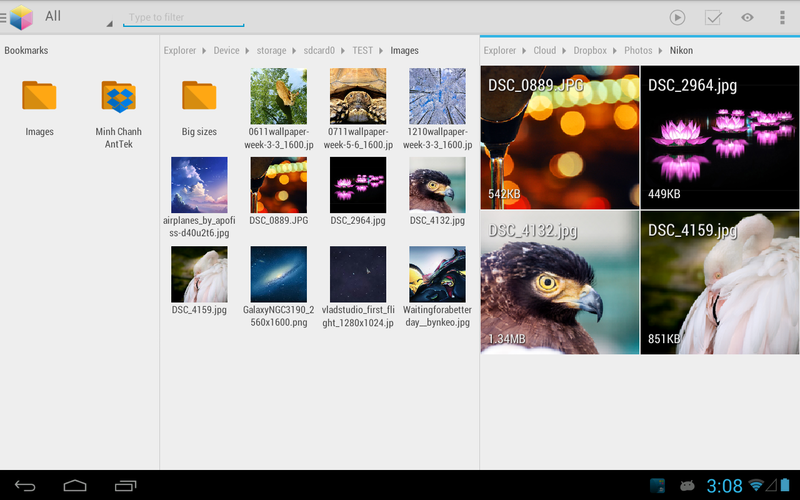 – Internal viewers for apk, zip, image, text files. For those who use own ProKey, don’t need to purchase it again.